Reno and Sparks offer a variety of romantic things to do for the tender-hearted. Here are 14 romantic restaurants, activities, and events to try for Valentine’s Day and beyond. 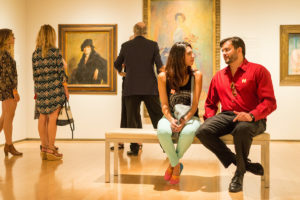 Valentine’s Day falls on a Thursday this year and as a result the Nevada Museum of Art will be open until 8 p.m. Have a romantic date and stroll arm-in-arm through the museum’s exhibitions. Then, stop by the museum’s shop to find the perfect gift to commemorate your night. Finally, head over to chez louie (you’ve already made a reservation, right?) for a special Valentine’s Day dinner with a menu by chef Mark Estee. Tyler Stafford will set the mood with acoustic music while you dine. 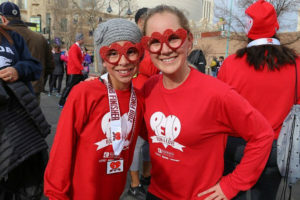 Work up a sweat and support a good cause with the person you love at the third annual Reno Run 4 Love on Feb. 10. This four-mile race benefits Catholic Charities of Northern Nevada and Outward Bound. After the race, enjoy a sweet after party with champagne, chocolate, music and more. Participants will get a medal, long sleeve t-shirt, race photos, champagne, and chocolate. Register here to participate. Celebrate Valentine’s Day with an elegant four-course dinner and dancing to Shades of Sinatra at the Atlantis Casino Resort Spa. Shades of Sinatra pays tribute to Ol’ Blue Eyes with a dynamic Vegas-style show featuring four talented musicians. The four-course dinner includes a duet of petite filet and parma prosciutto-wrapped prawn. 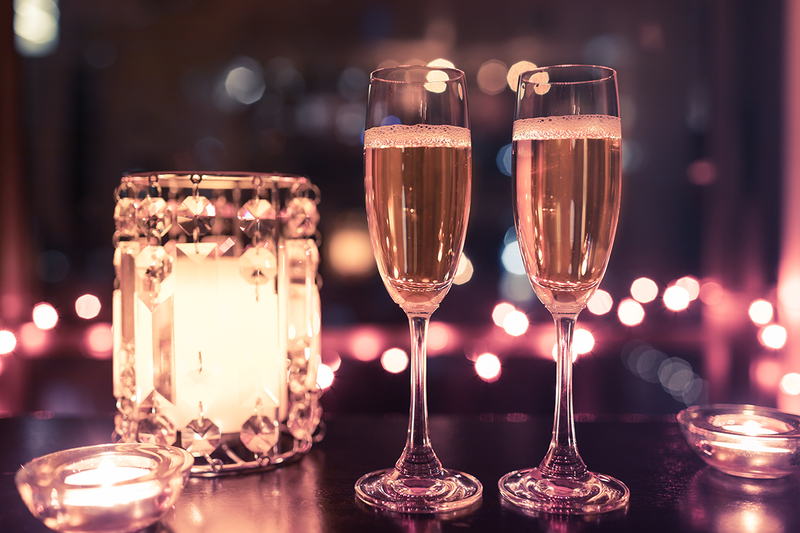 Enjoy a complimentary rose and champagne as you take part in this romantic night to remember. Buy your tickets here. Crisp mountain air, glittering moon-lit snow and hot cocoa—how’s that for romance? Experience it and take part in a snowshoe hike to Diamond Peak’s Snowflake Lodge on Friday, Feb. 15. The 3-mile hike includes guides, after-hours access to Diamond Peak and Snowflake Lodge, s’mores, and hot cocoa. There will be food and bar items available to buy at Snowflake Lodge. Participants must bring their own equipment. Pre-register online at register.yourtahoeplace.com. Have a relaxing and sensual Valentine’s Day with a couple’s massage at Reno’s newest spa, The Spa at Silver Legacy. 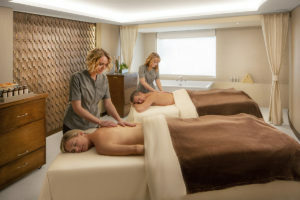 The massage takes place side-by-side in a luxury treatment room. Each duet couple’s experience includes a bubbly glass of Champagne. Before or after the massage, relax in the steam room, sauna, salt inhalation chamber, or one of three lounges. 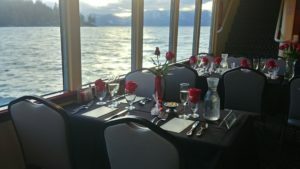 Celebrate your love aboard the M.S. Dixie II for a Valentine’s Day celebration on Lake Tahoe. Sip a glass of complimentary champagne, enjoy a romantic dinner, and listen to live music. Dinner includes scallop and lobster cakes, a choice of entrée, and delicious desserts to share. The event is intimate, and space is limited. Make your reservation today at bit.ly/MSDixieValentine, or by calling 775-589-4922. Grab that special someone and spend an evening painting at Picasso & Wine at The Summit. During this Valentine’s Day event, couples will paint two pieces that come together as one. The first glass of champagne and sweets are included. To make reservations, click here. 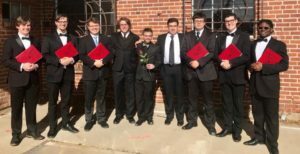 Express your love in song with a singing gram from the Xi Delta chapter of Phi Mu Alpha Sinfonia at the University of Nevada, Reno. The men of Phi Mu Alpha Sinfonia will suit up and serenade that special someone with a tune of your choosing. For more information, click here. Put your boots on, grab your partner and learn to swing dance with instructors from NoVi in Rum Bullions. Learn some new steps to impress your partner with free country swing dance lessons on from 7-9 p.m. on Feb. 14. Buy the perfect gift for your valentine and support local artists and veterans at this pop-up holiday store. 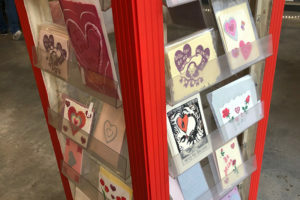 This Valentine’s Day shop at Outlets at Legends will feature locally-made stationery, cards, arts, crafts and more. Proceeds benefit Laika Press and the David J. Drakulich Foundation. For more information, visit arthealswarwounds.com. Learn some new culinary skills together with a hands-on class with chef Lara Ritchie at Nothing to It! Culinary Center. Cook with your Valentine during this romantic evening for two. The champagne will flow, and the candles will sparkle as you cook up some romance in the kitchen. For more information, click here. At the Fleischmann Planetarium at the University of Nevada, Reno, you can explore the galaxy and make it back in time for a candle-lit dinner. The planetarium offers a variety of full-dome digital experiences. For a list of shows and times, click here. Is there anything more classic than chocolates on Valentine’s Day? 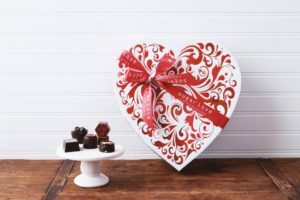 For a custom-made confection, check out Sugar Love Chocolates or Dorinda’s Chocolates. Both of these locally-owned shops serve up hand-crafted treats. Just make sure to save a few pieces for the recipient. Play your favorite retro video game or pinball at Press Start Arcade & Bar in midtown Reno’s. During the Super XOXO Valentines event, you can pose in front of the Mario wall for a Polaroid and get a sweetie sweet mystery box. Sip delicious drink specials and enjoy some friendly competition with your one-and-only. At Dickson Realty, our team of local experts knows the most romantic things to do in Reno-Sparks. To learn more about our region, contact one of our Realtors today.